Pat Musgrave is taking over as the managing director of Mobile Visual Information Systems (MVIS). 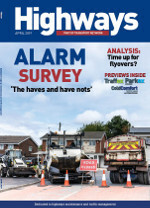 Mobile Visual Information Systems (MVIS) has developed a temporary journey time solution (JTS) that has been in constant use throughout the installation of a smart motorway on the M1. Two leading players in the intelligent transport system (ITS) industry have joined forces to create road maintenance safety solutions. Leading British temporary ITS solutions provider, Mobile Visual Information Systems (MVIS), says it has increased its turnover by 500% over the last two years, doubling the size of its team in the last 12 months alone. 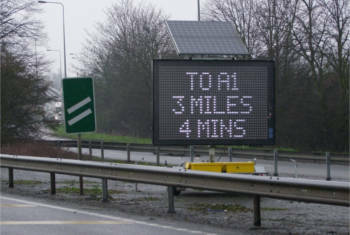 Mobile Visual Information Systems (MVIS) and Bartco UK say they have delivered the largest deployment of portable variable message signs (VMS) on Highways England’s network to date. Following a rapid expansion in business and personnel, MVIS has appointed its first dedicated customer relationship manager.